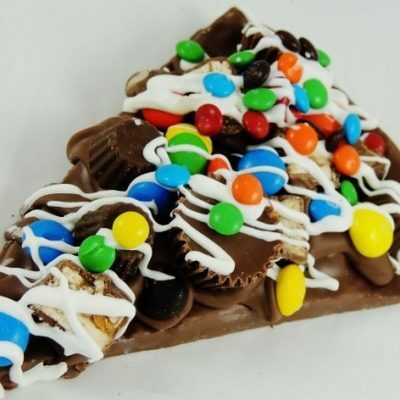 Creamy, smooth white chocolate slice with dried cranberries and crisp, roasted almonds make this Chocolate Pizza slice a rare treat. 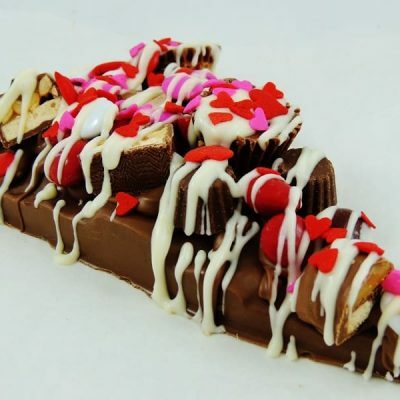 A good white chocolate slice is hard to find because often they use inferior quality chocolate – but not Chocolate Pizza Company. 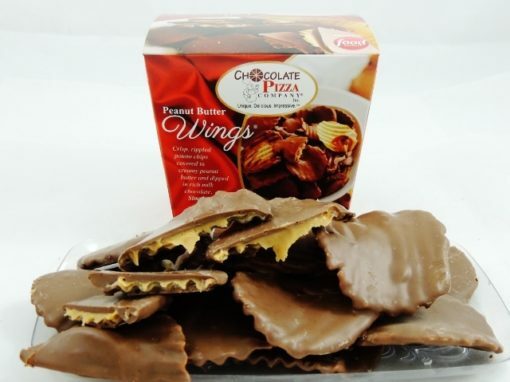 For our white chocolate slice we use only the finest ingredients. What makes our white chocolate slice even more special is the addition of tart dried cranberries and crisp almonds. 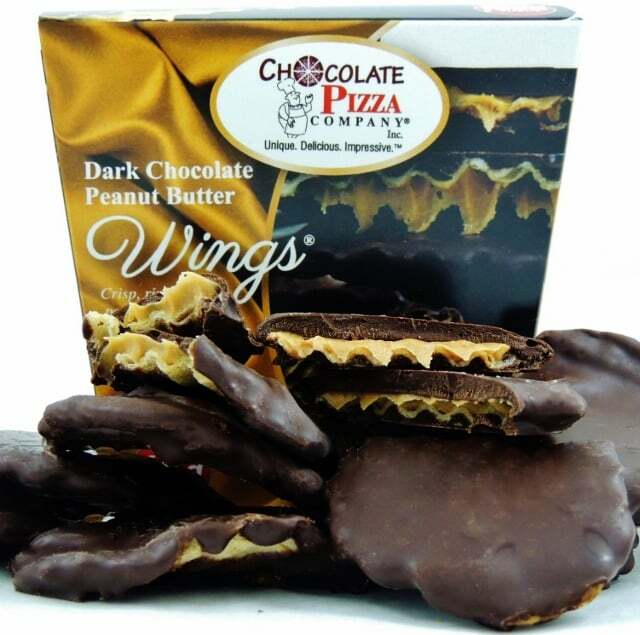 And don’t forget to add our famous Peanut Butter Wings – crisp, rippled potato chips covered in creamy peanut butter and drenched in chocolate. 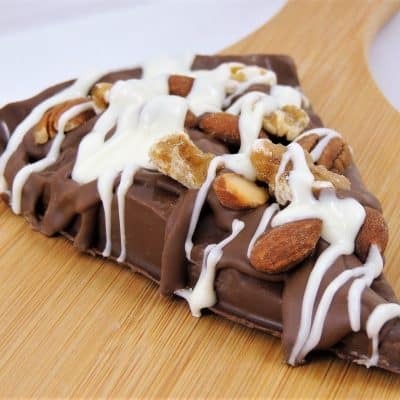 Creamy, smooth white chocolate slice with dried cranberries and crisp, roasted almonds make this Chocolate Pizza slice a rare treat. A good white chocolate slice is hard to find because often they use inferior quality chocolate – but not Chocolate Pizza Company. 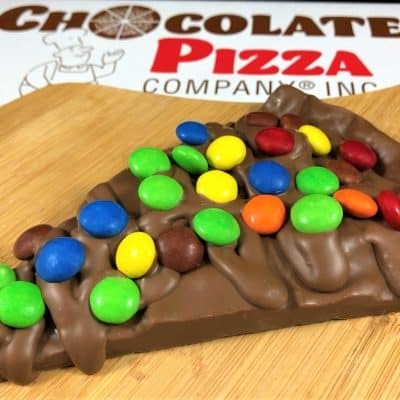 For our white chocolate slice we use only the finest ingredients. 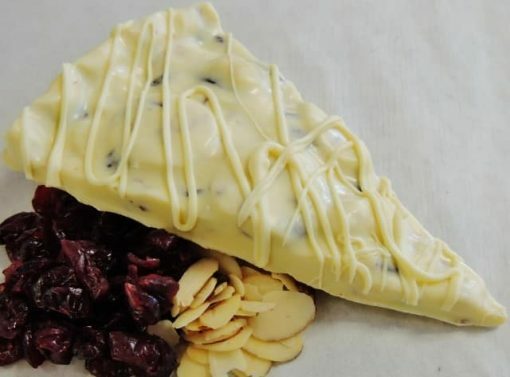 What makes our white chocolate slice even more special is the addition of tart dried cranberries and crisp almond slivers.